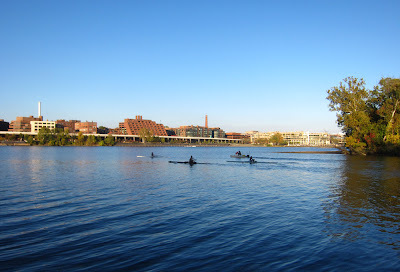 Rosslyn's idyllic Potomac shoreline will provide a spectacular location for a new boathouse for non-motorized boats. 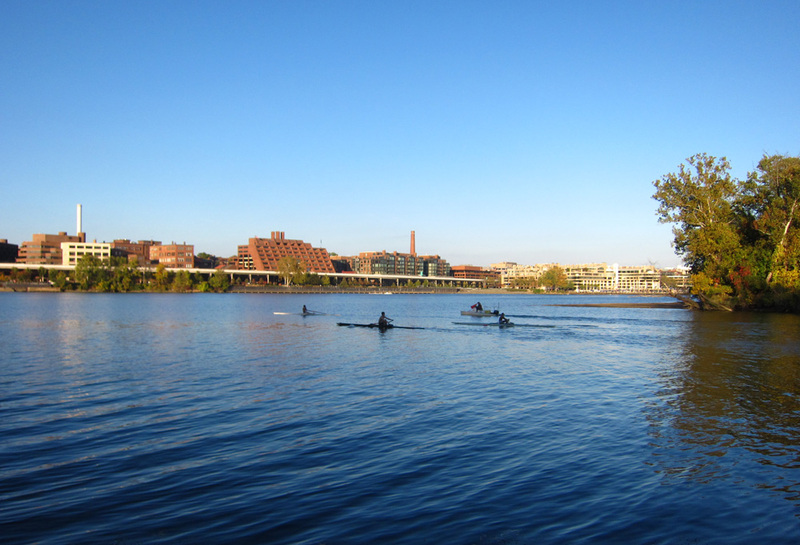 The period for comments on alternative boathouse sites closed at the end of September. The next step is for the National Park Service to select formally the best alternative, which is obviously the Rosslyn site. A more complicated issue is how to ensure that the many persons coming to Rosslyn from Georgetown will be able to enjoy all that Rosslyn has to offer. A pedestrian overpass connecting downtown Rosslyn to the riverfront would help to support circulation through Gateway Park, downtown Rosslyn, Roosevelt Island, and the boathouse. Congressman Jim Moran played a key role in securing funding for a pedestrian/bike overpass connecting neighborhoods and Wolftrap facilities separated by Rt. 66. Rosslyn needs a similar pedestrian/bike overpass connecting downtown Rosslyn to the Potomac shoreline. At the recent candidates' forum, Congressman Moran stated that the elimination of earmarks makes it much harder to get funding for worthy projects like a Rosslyn pedestrian overpass to the Potomac. A member of the audience suggested that money might be found in National Park Service funding for the boathouse. But if that funding only builds a pedestrian overpass serving boathouse facilities or connecting to Gateway Park, it will re-enforce the urban/rural divide in Rosslyn. The National Park Service should think beyond the boathouse to Roosevelt Island and downtown Rosslyn.